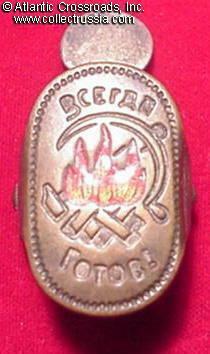 $20.00 Young Technician of the USSR badge, circa 1940s-50s. Highest award to middle school aged children for technical creativity. In excellent condition.